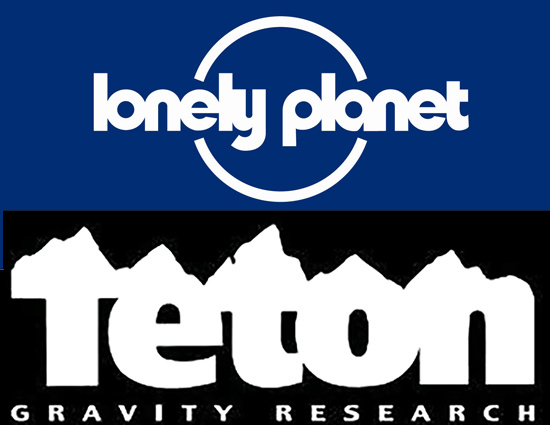 Travel media company Lonely Planet announced today its acquisition of a stake in Teton Gravity Research. The companies did not disclose the price of the investment or percentage of TGR acquired. TGR and Lonely Planet are well known in their respective industries. Since TGR was founded in 1996 by brothers Steve and Todd Jones, along with Dirk Collins and Corey Gavitt, the company has produced dozens of ski, snowboard, cycling, surf, and adventure videos such as (brother) Jeremy Jones’ “Deeper, Further, Higher” trilogy. Lonely Planet is the largest travel guidebook publisher in the world, and it was purchased in 2013 for $77 million from BBC Worldwide by NC2 Media. Lonely Planet’s business had slumped at the time of its purchase from a 2008 valuation of $250 million. TGR has doubled in size in recent years, according to a company press release, and it has multiple films in production now. Houghton said the acquisition will help Lonely Planet expand its digital and video efforts and expand its offerings in television, video, digital commerce, and original content. The two companies will continue to operate independently of one another. TGR co-founders, brothers Steve and Todd Jones, will retain their ownership interest and continue to lead TGR as co-CEOs in the company’s Jackson Hole, Wyo., office.